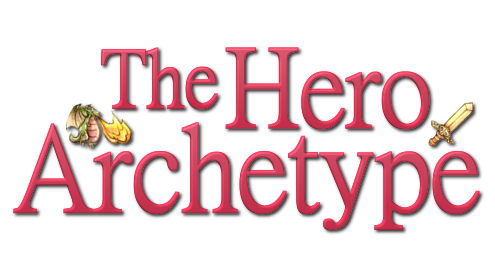 The Hero Archetype: Game Transfer Phenomena: When your brain just won’t stop playing. Game Transfer Phenomena: When your brain just won’t stop playing. a) You see a map and immediately start searching for natural resources for your army. b) A wooden bat reminds you of zombie killing, not baseball. c) You see a pickaxe on a hardware store and it surprises you how un-pixelated it is. d) Every oxygen tank or barrel of fuel you see prompts you to aim and shoot, expecting a huge explosion. These descriptions make reference to an apparent common occurrence between frequent video game players. They involve alterations of perceptions, thoughts or behavior triggered by real life stimuli that somehow resembles video game objects or situations. This is what Angelica Ortiz de Gortari (2012) describes as Game Transfer Phenomena. Although we all probably have either experienced or heard about this type of experiences, there isn’t much available information about them. This prompted Ortiz de Gortari (2011) to start collecting video game player’s reports about this type of events. Her research helped discover different types of GTP experiences and the results are quite interesting. 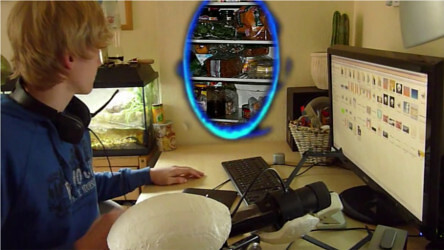 In the area of visual perception, players described experiencing distortions of real world elements based on video game content. These included seeing objects as if they were pixelated, with color outlines or even lagging. In this circumstances, a stimuli associated with gameplay experience seems to be what triggers the phenomena. For example: A player reported seeing the Mass Effect dialogue wheel every time someone talked to him. Sometimes the appearing elements had a fixated position in relation to real objects, like health bars floating above people’s heads (Ortiz de Gortari, & Griffiths, 2012). This neighborhood is starting to look really “blocky”. Interestingly enough, stimuli from one sensorial modality occasionally triggered a GTP experience from another one. For example: Seeing the letter Y in yellow (the color of the Y button in the 360 controller) or listening to music on the car only to watch the road transform into moving frets (Ortiz de Gortari, & Griffiths, 2012). This type of relationship between different sensorial modalities is similar to what happens in synesthesia, were people report perceiving a sensory stimuli together with one from another sense (like seeing colors while listening to sounds). While some visualizations occurred when trying to sleep, many players reported them during the day, as soon as they closed their eyes (Ortiz de Gortari, & Griffiths, 2012). This may be a sign that the lack of competing stimuli plays an important role on the generation of GTP experiences. Visualizations also occurred hours or even days after having played (Ortiz de Gortari, & Griffiths, 2012). Auditory experiences were present too. Players reported hearing video game sounds (like the achievement sound of the Xbox), sometimes in constant repetition. They also described body sensations associated with the activities executed in the game, like feeling the movements performed in “Armored Core” while trying to sleep (Ortiz de Gortari, & Griffiths, 2012). For some players, real world stimuli triggered intrusive thoughts. These involved interpreting the world in terms of video game experience (confusing an airplane with an UAV from Call of Duty), making illogical conclusions based on in-game situations (thinking territorial expansions were needed for real food to run out) or expecting video game related events (like waiting for the Spy from Team Fortress 2 to attack from behind). It’s also frequent to think about applying video game tools to real life, like using the gravity gun or grappling hook to reach for objects. In some cases players temporarily dissociated with reality and performed actions as if they were in the game. For example: A player described how he walked in the street towards a bike with the intention of using it, before realizing he wasn’t playing GTA anymore (Ortiz de Gortari, & Griffiths, 2012). I want to eat something but I’m busy. I could really use a portal gun now. One way to explain all these experiences is through classical conditioning. In this basic learning phenomena a stimuli that didn’t produce an automatic response is repeatedly presented before a stimuli that does. This will eventually allow the paired stimuli to provoke the reflex on its own. For example: If we repeatedly make a clicking sound just before blowing on someone’s eye, the click alone will soon be able to make that person blink. Video games constantly expose us to paired stimulus. More specifically, pairs of stimulus and actions: Every time we want to say something to another online player we have to press a specific key. As a result, the player learns to respond (with speed and precision) to the in-game stimuli (Ortiz de Gortari, & Griffiths, 2012). This might be why occasionally, when a player wants to say something in the real world, they reach for a non-existing keyboard. GTP can sometimes take the form of very intrusive and upsetting experiences. 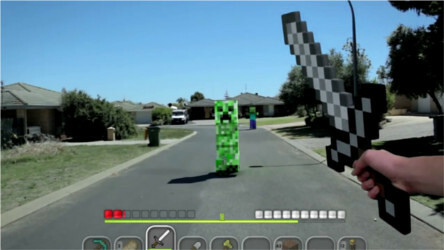 A participant, for example, reported going to sleep only to see the minecraft grid as an overlay to his room. He couldn’t fall sleep until the furniture was moved into the right place. Additional research could help identify what gameplay characteristics tend to produce these negative effects, benefiting both players and developers (Ortiz de Gortari, & Griffiths, 2012). Another negative aspect of GTP experiences is that they are easy to confuse with mental disorders. Intrusive and persistent experiences, for example, could be mistaken with obsessive symptoms. An additional source of confusion could be the unpleasant after-effects (headaches, disorientation and nausea) a group of players reported immediately after playing (Ortiz de Gortari, & Griffiths, 2012). These could be taken as signs of an abstinence syndrome, potentially increasing the belief that video games can be addictive. 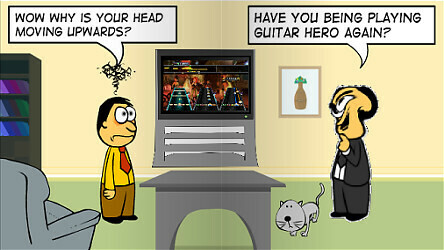 GTP Adventures allow players to share their experiences using cartoons. Further studies are required to help professionals distinguish between Game Transfer Phenomena and mental disorders. But there are more positive reasons to promote research on this field. Advances in the study of Game Transfer Phenomena could expand our knowledge about the basic mechanisms of human cognition (Ortiz de Gortari, & Griffiths, 2012). It could also help us understand why in-game learning manifests only in particular circumstances. A discovery that could have a major impact in the development of reliable video game based learning and therapeutic programs. Ortiz de Gortari, A. B., Aronsson, K., & Griffiths, M. (2011). Game Transfer Phenomena in Video Game Playing: A Qualitative Interview Study. In: International Journal of Cyber Behavior, Psychology and Learning. 1(3), 15-33. Ortiz de Gortari, A. B., & Griffiths, M. D. (2012). An Introduction to Game Transfer Phenomena in Video Game Playing. In: J. I. Gackenbach (Ed. ), Video Game Play and Consciousness. NY: Nova Publisher. My name is Hugo Aranzaes. After graduating I started researching different subjects on the Psychology of Media. This allowed me to publish several articles about the Psychology of Video Games, on The Punk Effect. I even had the honor to present one of them at the 2016 Annual Conference of the International Communication Association, in Fukuoka, Japan. Recently, I have also started writing about The Psychology of Anime. A subject that is very dear to me but that hasn't been very extensively researched. When I'm not browsing through scientific databases, I'm playing Pro Evolution Soccer while listening to podcasts, or watching Anime films and TV series. Are realistic controls better than gamepads? Are Multiplayer Games More Immersive? The sword, dragon and hero icons come from the Legendora Icon Set; while the notepad, monitor, email and book icons come from the Harmonia Pastelis Icon Set. Both were created by Raindropmemory, and are used with the author's permission.